Chicago Siding Companies: How Do You Choose the Best One? Everyone wants their siding to be both beautiful and energy efficient. A huge part of making that happen is choosing the right siding company. You want a company that offers a great product and has a reputable installation team. With all the Chicago siding companies you can out there, you may not know where to start. Read on and learn everything you need to know. We’re going to go over the types of products, price and installation team in this article to help you choose a siding company. First, you should know the different types of siding and which one is best for your home. Chicago siding companies offer different types of siding so it may help you eliminate some of your options. You want to put your best foot forward with a beautiful, eye-catching siding but you don’t want to break the bank. Plus, with Chicago’s crazy weather, you want something that can withstand rain, snow and hail. Below are a few popular siding options. You can be the judge of which is best for your home. If you’re looking for elegance, wood siding is a good option. It’s rustic, cozy and beautiful. But oh man is it expensive. Wood siding is the most expensive siding option available. They say you can’t put a price on beauty, but with a price of $23,000 to re-side an average two-story home, that may be too much. The costs don’t end there either. You should repaint your wood siding every 3-7 years and stain it every 4 years – probably more often thanks to Chicago’s weather. That’ll cost you additional money and time (which may be even more important). Also, wood siding is prone to warping. Warping is when wood bends or twists due to it absorbing moisture unevenly or when the wood is considered dry. This bending will make your wood siding look terrible. You don’t want that, do you? 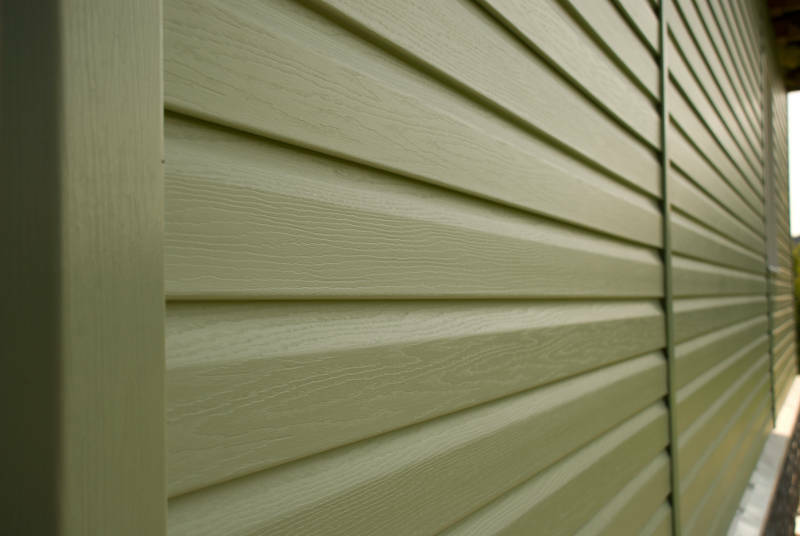 Fiber cement siding is incredibly durable and can handle anything. It’s fireproof, pest proof and won’t warp or crack under Chicago’s heavy rain, snow and hail. It can take a beating and will look the same as the day it was installed. That all sounds great, but fiber cement does have its fair share of problems. While it’s less expensive than wood siding, fiber cement siding still costs a great deal of money. While you won’t have to repaint it every 3-7 years like wood siding, you will after the first 90 days after installation. What do you do if you want the elegance of wood and the durability of fiber cement? You go with vinyl! Yes, vinyl siding will give you the best of both worlds. It can be customized any way you want – even if you want it to look like wood. It also can handle any Chicago weather. Vinyl siding is resistant to warping and rotting too. Plus, vinyl siding is the most energy efficient option. 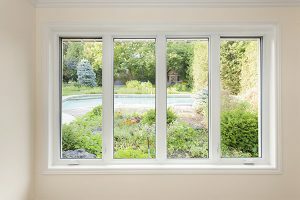 It will prevent heat and air from escaping, making your home more comfortable year round. This will save you money on your heating and electric bills as well. So after installation, instead of costing you more money on maintenance, vinyl siding will save you money on your utility bills. Speaking of maintenance, vinyl siding is easy to maintain. You won’t need to repaint or stain it. In fact, you’ll only need to wash it a couple of times each year. It’s that simple to keep your vinyl siding looking beautiful. You know that not all Chicago siding companies offer insulated siding but it’s important. The insulation is foam boards installed beneath the siding which will add another layer of protection between your home and the outside. 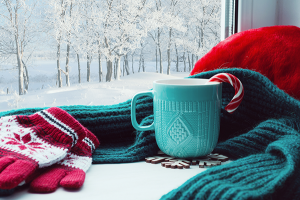 You don’t want your home freezing cold in the winter or blistering hot in the summer- you’re inside to avoid that weather.Without insulated siding, heat or air can escape your home and you’ll be paying more for your heating and cooling bills as a result. 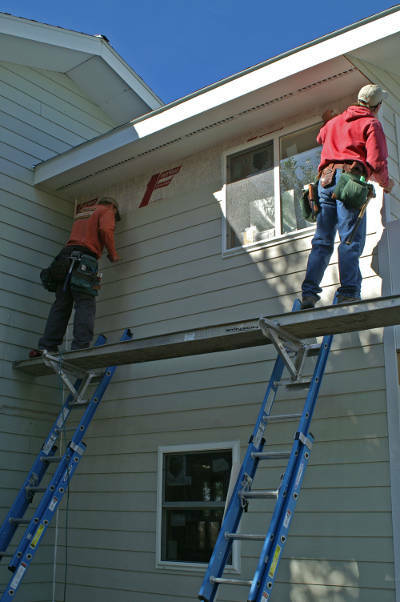 Now that the product has been covered, it’s time to look at the other part of a siding company: the installation team. No matter which type of siding you choose, if it isn’t installed properly, it’s going to look terrible. You want a company you can trust to install your siding. Here are a few qualities you should look for in an installation team. 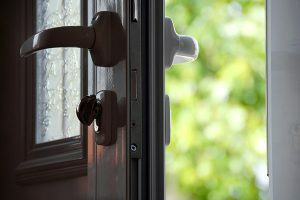 You can choose whether or not you want insulated or non-insulated vinyl siding.Non-insulated vinyl siding may be cheaper upfront, but you’ll be paying for it on your utility bills. 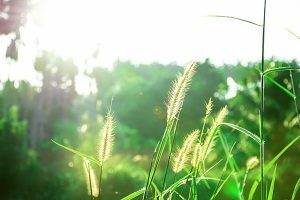 Your furnace and air conditioner will need more power to heat and cool your home. Insulated vinyl siding is a better option. The last thing you need is a “professional” taking forever to complete your siding project. It shouldn’t take long to complete and it won’t with a reputable company. So when you’re choosing from one of the many Chicago siding companies, check out some of their previous work. Ask them how long it took to complete the job. You never know what you’re getting with a young company. They can be inexperienced or a flash in the pan company that won’t be around in a couple of years from now. Your best bet is to work with a siding company that has been around for over 10 years. They’ve seen it all and they’ve done it all. Chicago siding companies need to take safety seriously if they want to be the best. Since long lasting companies have done it all before, they know how to do their job with the least amount of risk. Some of these young start-up installation companies may put themselves in danger. In other words, safety comes with experience so you’re best going with a company that has been around the block. You don’t hire a siding company to mess up your place. The job’s not done until the yard is clear of all installation debris. Reputable siding companies won’t leave until your property is as clean, or cleaner, than when they got there. Have they been around for over 10 years? Do there previous projects meet your standards? Are they a quick and efficient? Do they clean up when they’re done? Do they treat your home with respect? There are many Chicago siding companies so it might seem overwhelming to pick one. 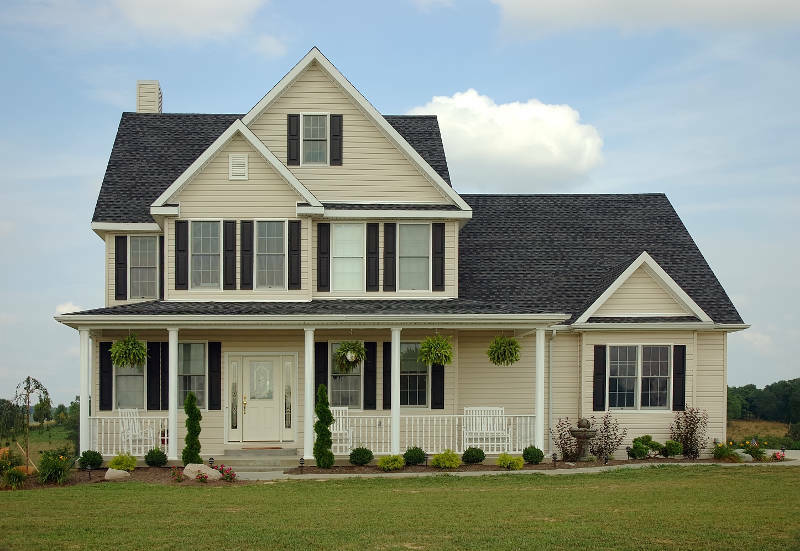 By looking at their products and installation team, you should be able to pick which siding company you’d like to complete your home remodeling project. If you want a worry-free experience with a trusted siding company in Chicago, get a free quote from Feldco.